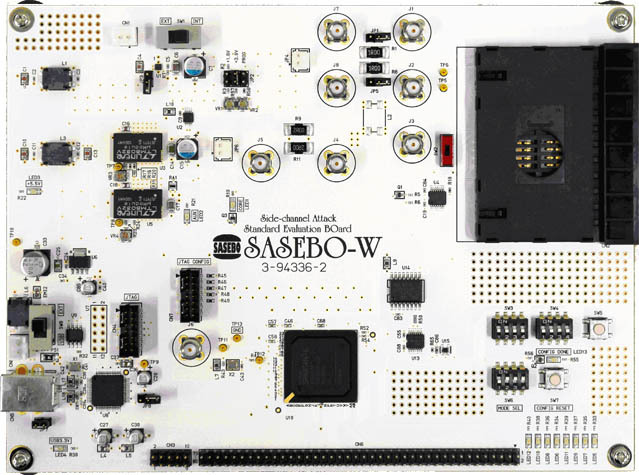 SASEBO-W has the Xilinx® FPGA device Spartan™-6 (XC6SLX150) and an IC card socket, and was provided with the ATMega-163 sample IC card. The boards developed by AIST in a research project supported by JST (Japan Science and Technology Agency). TROCHE licenses source code for the ATMega-163 card.